Over the past few decades, there has been an increase in the percentage of adults who are choosing to get braces to straighten their teeth. So, what are the different types of braces for adults? Dental braces are no longer only reserved for adolescents and teenagers. In fact, according to the AAO, or the American Association of Orthodontists, the number of adults who were using braces to straighten their teeth increased almost 20 percent between 2011 and 2013. If you are considering getting braces to perfect your smile, there are several different types of braces for adults you can choose from. Whenever someone hears the word ‘braces,’ the first image that comes to their mind is the traditional metal braces that we are all familiar with. These are the least expensive types of braces, and teenagers have worn them for decades. The only drawback to wearing these stainless steel brackets is that they are obvious. The brackets hold a thin wire that stays in place with small rubber bands that are around each metal bracket. The rubber bands and wire places pressure on the teeth, and they gradually move into their new positions. When metal braces are first applied to the teeth, they can irritate the gums and the cheeks when they are first placed on the teeth. Once they are on the teeth, you may have to make adjustments to your diet because it will be more difficult to eat certain foods, especially foods that may get stuck in the braces. This means that you may have to stop eating sticky sweets like caramel and chewing gum. Invisalign and other invisible braces are more expensive than different types of dental braces because they are invisible. This is the best option for adults who do not have severe dental issues. Not only are they invisible, but they do not require as much maintenance and as many orthodontic appointments. The medical device company that manufactures invisible dental braces like Invisalign have estimated that for the average adult, these types of braces cost between $3000 and $8000. However, without dental insurance, the average cost of these braces is around $5000. With dental insurance, patients can expect their out of pocket expenses to average $2000. Invisible braces do not use metal brackets. Instead, this dental device is made from custom trays made from rubber. These customized aligner trays are molded to fit around the individual’s teeth, and worn all of the time except when the patient is eating or brushing their teeth. 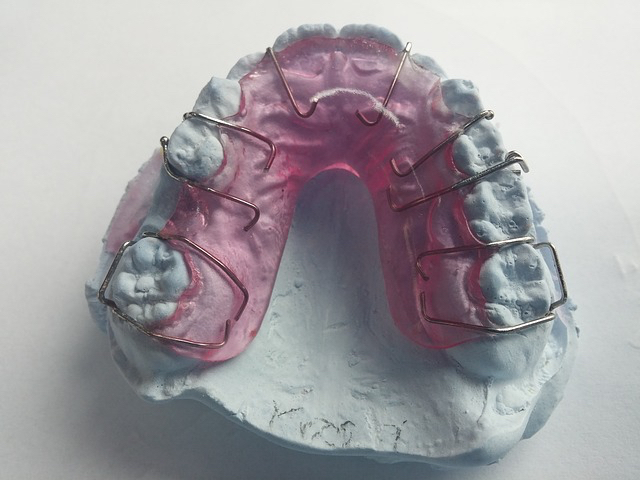 These custom fitted trays can be as uncomfortable as metal braces when placed on the teeth for the first time. The trays create pressure around the teeth as they work to shift the teeth into their new positions, but the discomfort goes away after some time. Patients will also get the best results if they wear the aligners for at least 20 hours every day. These braces are more expensive than stainless steel metal braces, but they are designed to blend more with the teeth, so they are not as visible as traditional metal braces. Patients can choose between white or clear elastic ties to help keep the brackets in place. It is essential to be mindful of the foods you eat while wearing ceramic braces. Even though the braces will not become stained or discolored, the elastic ties. This means you will have to be careful when eating or drinking dark-colored foods and beverages like coffee and tea. Ceramic braces are more sensitive and can break easier than other types of braces. They require more maintenance, and you will be scheduled for more orthodontic appointments to prevent issues with the braces. These are a few of the different types of braces for adults orthodontic patients can choose. Consult with an orthodontist to find the best braces for your needs.